Christopher Hart's Draw Manga Now! · Christopher Hart's Draw Manga Now! 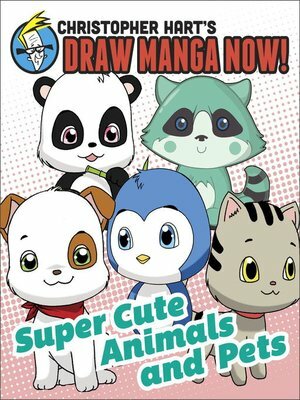 Focusing on the charming and adorable pets and animals that enrich manga stories, Supercute Animals and Pets teaches readers how to draw animals from a fox, to a cow, to a penguin, all in the style of manga. After an introduction to basic body constructions, faces, tails, legs, and more, readers will have a chance to follow along Hart's in-depth step-by-steps, and will even be invited to draw on their own, right in the book's pages. Christopher Hart's Draw Manga Now!